For almost every person that tells me “My hair has been AMAZING since giving up shampoo” there is someone that will tell me that they had to give up – they simply couldn’t hack the detox period. Since launching my ebook about giving up shampoo I have been ruminating on how best I can help people through this most tricky phase – I truly believe that, with the right motivation and support team ANYONE can give up shampoo, and eventually, discover gorgeous locks. 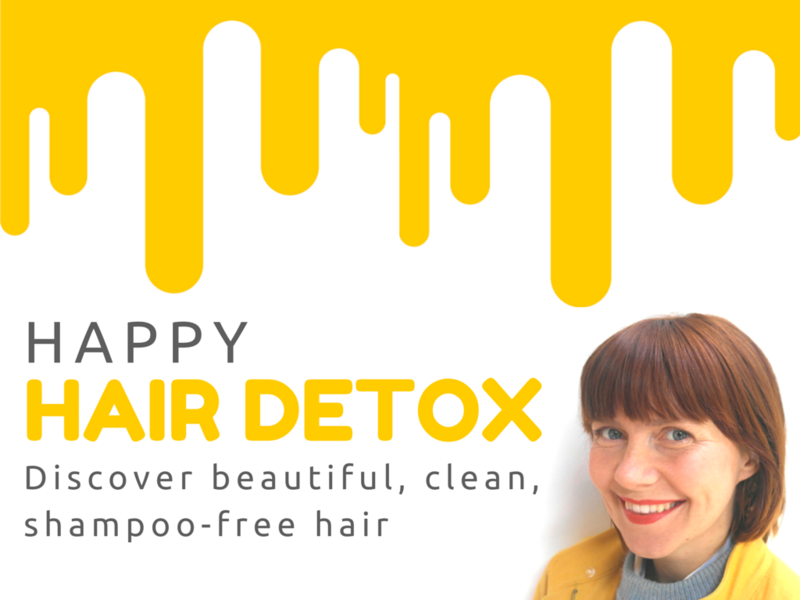 I have recently turned teacher and cheerleader, with my brand spanking new ecourse, Happy Hair Detox. Consider me like a mixture of the best boyfriend in the world and Oprah Winfrey – here to stroke your hair and point out your magnificent beauty whilst also giving you lots of helpful information and inspirational wisdom. 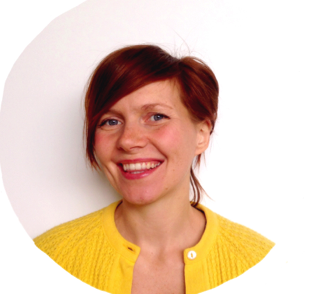 Let me hold your hand through your hair detox and transition to “No Poo” with this series of online classes (55 minutes worth) and downloadable, interactive worksheets and a moderated peer to peer support forum. From the moment you hit “purchase” you can begin this course, or you can take one unit every 3 days to see you through the most intense part of transition. And if you don’t enjoy the course, or don’t feel equipped to give up shampoo, I’ll give you a full refund. Unit Six – What is behind the label of your shampoo bottle? 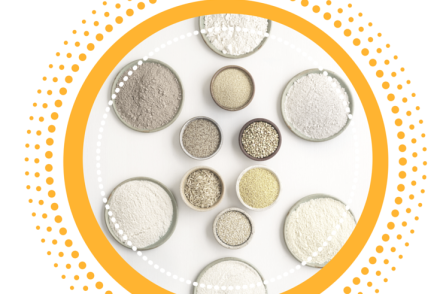 Here is a $10 off code for Lulastic readers WHOOP WHOOP – please use this link to sign up with that. I’m pretty much as excited as one can be right now! I’d love you to join me in class! Shampoo Free Hair for 3 years – If you can’t eat it, don’t wash with it! You are very inspiring, I don’t do a lot with my hair really as I just tie it back so I can get away without washing it for a couple of days but I’d be interested to know what would happen to it after that! This looks like a fab course. Oh I love this. I would love to give up shampoo, my husband has done it, he was poo free for about a year. And then my kids gave him nits….. and he had to hit the treatment stuff and it all went a bit pear shaped. But I would love to be able to do this. Will have to sign up ! Cass@frugalfamily recently posted…When a big company takes advantage of a young girl…. I would love to give this a try but I have never been brave enough, I am sure lots of people will sign up. I am one of those people who tried and failed so would love to do it again. I even nearly bought a head scarf the other day – must have been fate. Do you think it is any easier with shorter hair? Definitely easier with short hair!! I would LOVE to do this but I couldn’t do it to my patients at work. If I ever get a decent break form work I am so going to try it though! How exciting Lucy! Would love to try it but probably not this June though. Soon. I would love to try this Lucy, I’m a bit concerned about the time involved though. I’m always in such a rush all I do in the morning is pull a brush and hair straighteners through my hair…which I know is terrible for it. How did you know this is exactly what I need! Have signed up! I am on Day One of my Happy Hair journey and was wondering about the ACV – mine has “Mother” in it – do you think this will do anything to its effectiveness? Dizzy recently posted…Day One: NaHCO3 + CH3COOH + H2O = Happy Hair? Sorry, me again but I am dead chuffed 1 month and 22 days in and I seem to have a good routine – twice a week bc/acv wash after having coconut oil sat on it for a few hours. Afterwards I oil cleanse my face with sweet almond oil otherwise my face feels all tight. Since going no-poo I am rapidly trying to replace my other lotions and potions with simplified solutions. Hi Lucy, It is really difficult to understand how to live without shampoo. But after reading your full article and other feedback I think I should try it.